With poor road infrastructure and more disposable income at hand, more and more people in the Philippines are buying a car of their own. However, many are not in a position to pay for a car in full and are therefore attracted to the idea of a car loan, which gives them more freedom with their monthly finances. 1. Not considering your finances / not budgeting your finances carefully. Ultimately, getting a car comes with a lot of financial responsibilities. Aside from actually paying for the car, you’ll need to consider the fact that keeping the car in decent condition can also burn a hole in your pocket. Not to mention that car insurance is mandatory here in the Philippines. You’ll need to set aside money for that, too, especially if you want to have a wider coverage against all sorts of risks. Some people tend to overestimate or miscalculate their finances. Before anything else, this is something that you should first avoid. Make sure that you can pay for your loan without touching your savings. You also have to make sure that you’ll still have enough money for your living expenses, too! 2. Extending the duration of the loan or opting for a long-term loan. This can be incredibly tempting since a longer term would mean a lower monthly payment. For those who doesn’t have enough budget for a high monthly payment, extending the contract is one way of lowering it to the point of affordability. However, you will come to realize that in the long run, a longer term is a mistake because you end up paying more overall. Why? It all boils down to your interest rates. Generally, longer terms have higher interest rates. The longer you pay for your loan, the longer you pay for the interest rates, too. Avoid being clueless when you’re planning to get a car loan. Not knowing basic information about the car loaning process can spell disaster for you financially. As they say, knowledge is power. And in this case, without your knowledge, you’re giving your sales agents the power to manipulate you into paying for more because you’ll just believe what they say. If you have knowledge, you’ll know what you’re dealing with. Check for any hidden terms or add-ons that you can clarify with your agent. You can avoid being surprised by the unexpected additional expenses that you might have incurred had you not thoroughly checked your contract. 4. Adding extra options or add-ons that won’t be used in the end. Don’t let your salesman talk you into adding more equipment to your car. Or on a more personal level, you should avoid getting additional options for your car that you won’t need. Because really, why pay for something that you won’t use in the end? Make use of your research and only get a car with everything that you will need, and of course, one that you can afford. 5. Not being thorough when asking questions and studying your contract. This is a mistake that can cost you a fortune – literally. By not asking the right questions, you’ll miss opportunities like eligibility on lower interest rates or anything that can lower your monthly payments or the cost of the vehicle itself. Don’t make the mistake of not negotiating the price of the car. Study the contract carefully. Ask questions if you’re unfamiliar with the terms in the contract. This way, you won’t be clueless about what you’re paying for. Also, ask about hidden fees and other extra costs, as they may surprise you at the end of your loan term. 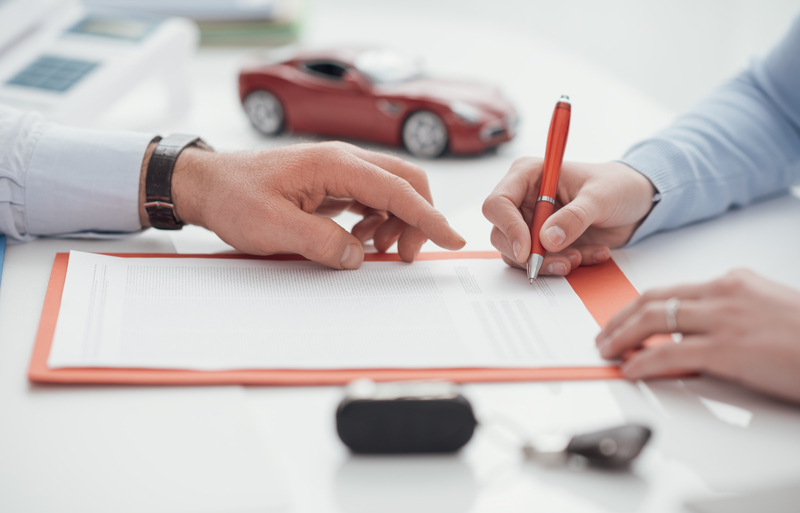 Knowing what to watch out for when getting an auto loan is important, especially now with more and more people opting for auto financing. There’s no room for mistakes when getting a car loan, as it is a big financial responsibility that can burden you for a long time. While you’re shopping for a car loan, make sure to take a moment and remember these things that you should consider and avoid.